This is the article we submitted for the May edition of the Hayling Islander. The published article was subject to editing by the Islander. 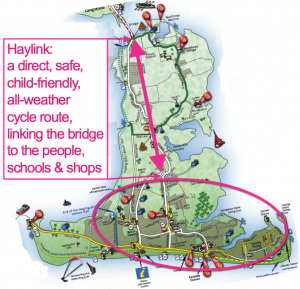 Cycle Hayling says Hayling’s as flat as Holland, so why don’t we have Dutch style cycling?! This is the article we submitted for the January edition of the Hayling Islander. The published article was subject to editing by the Islander. Also, depending on the timing of the Infrastructure report’s publication and the Hayling Islander deadlines, we might make some last-minute changes. Made any New Year revolutions yet? No, that’s not a mis-print, I’m talking about pedal revolutions on your bike. I’ll be regretting all those mince pies, and looking gingerly at the weighing machine. Exercise is the best medicine. New Year’s a great time to challenge yourself to do something positive. Why not resolve to enhance your health, your wealth and our island environment – by cycling more in 2019? This is the article we submitted for the December edition of the Hayling Islander. The published article was subject to editing by the Islander. We were saddened by the death of Tony Higham, a long term supporter of HIRA, Hayling and of Cycle Hayling. His knowledge, quiet tenacity and engineering skills were at the heart of the crusade to protect Hayling from being over-run by commercial and house-building pressures. Our thoughts are with his family. 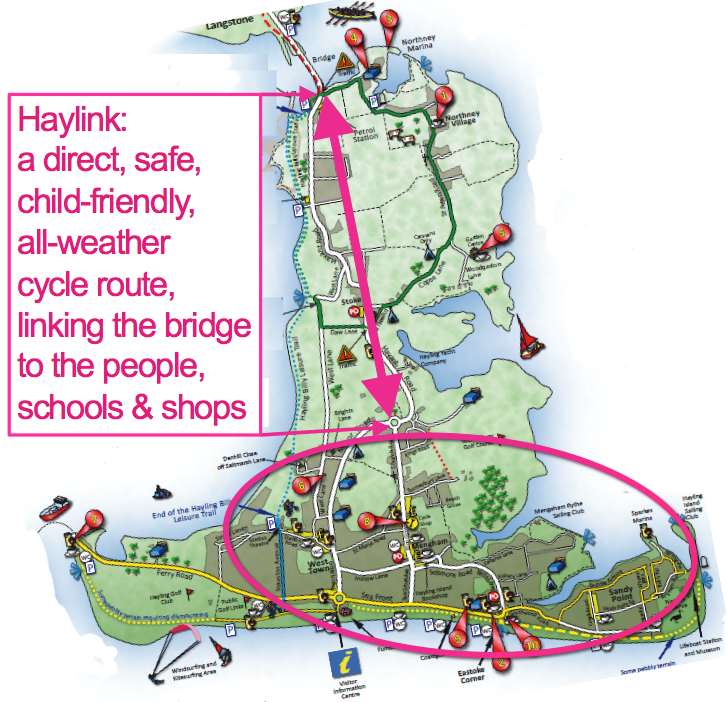 Tony’s traffic modeling provided key inputs to the Hayling Infrastructure Report, due to be published in mid-December. It’s a tragedy that he did not live to see it published, and it is up to all of us to make sure that his work lives on. … a safe, child-friendly, all-weather cycle route to the bridge. This is the article we submitted for the November edition of the Hayling Islander. The published article was subject to editing by the Islander. You may have seen the road works in Langstone alongside the main road. 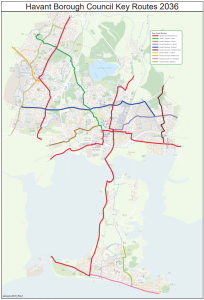 Havant and Hampshire councils are building a shared path to allow cyclists to ride safely between the Billy Trail at Mill Lane and the Langbrook Restaurant. 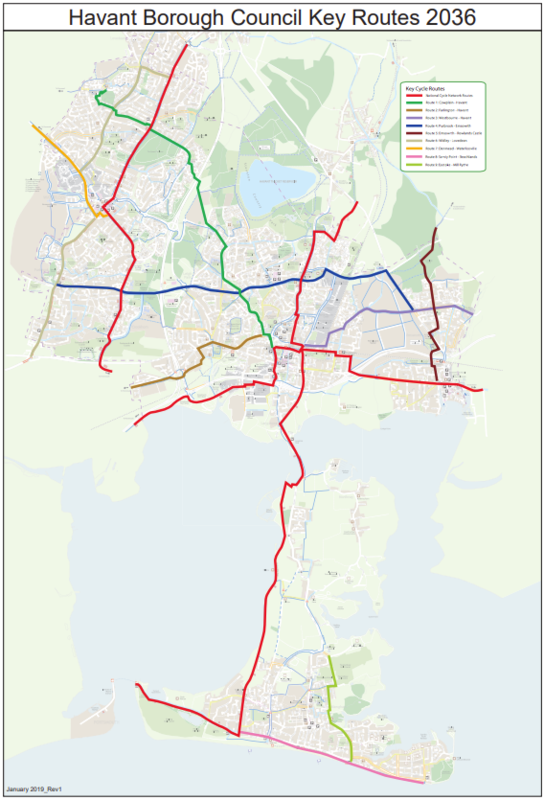 The next phase will link all the way to Tesco and beyond. This is the article we submitted for the October edition of the Hayling Islander. 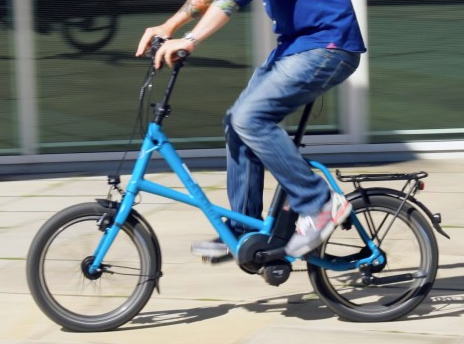 E-bikes have come of age. I just tested one of the latest models, a Kalkhoff Sahel, and it was, well, electrifying. And a lot of fun. We see more and more of them, especially from Germany and Holland. Purists often say it’s cheating, and less exercise. But you might find you actually get more exercise, not less, because e-bikes tend to get used more often, and they’re a bit heavier when you’re saving the battery. You still get the health benefits, because you still have to pedal (that’s why they’re called pedelecs). They just detect when you’re pedaling, and amplify your leg power to help you go faster.